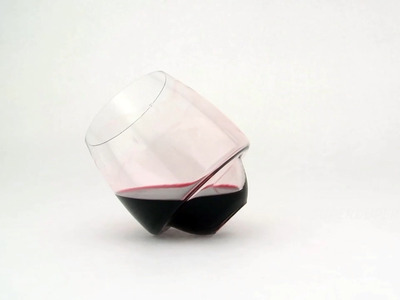 Business InsiderThis wine glass can’t spill. 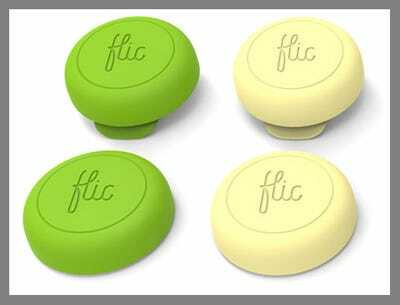 A new gadget or smartly-designed piece of furniture can improve any home. We rounded up 50 items that will vastly improve your home — and they all cost $50 or less. 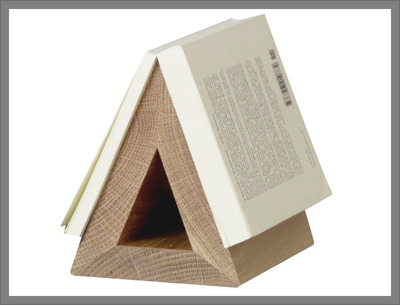 This spider catcher offers a humane way to relocate spiders, and to do it from a safe distance. See how it works here! 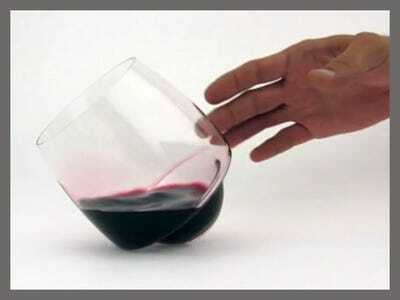 This ingenious wine glass will not spill, solving the age-old problem of spilling wine after a little too much wine. 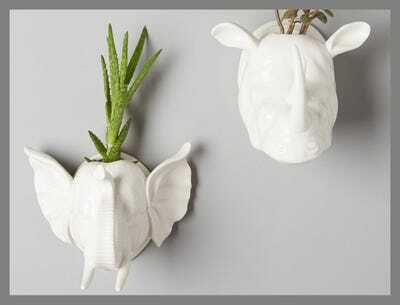 Bring some life into your living room with fresh plants, and give them a stylish home inside a ceramic wall planter that's shaped like an animal. 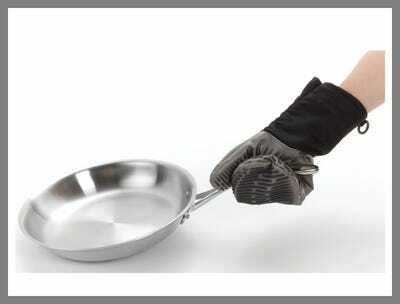 Save space with this super efficient nine-piece food preparation set. 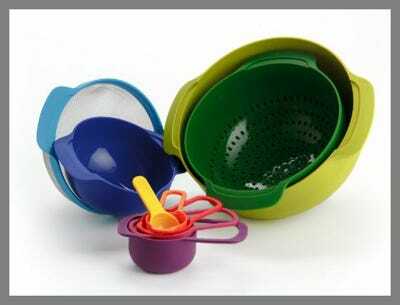 From mixing bowls to a colander to measuring cups, each piece stacks together perfectly. 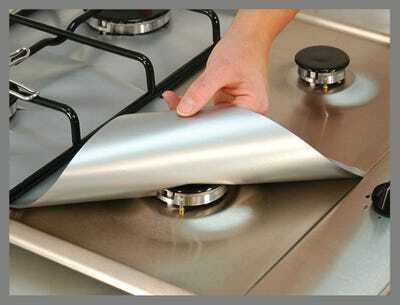 Range protectors are the ultimate kitchen hack: instead of scrubbing off splatters, simply wipe down these non-stick liners or throw them in the dishwasher for a range that's as good as new. 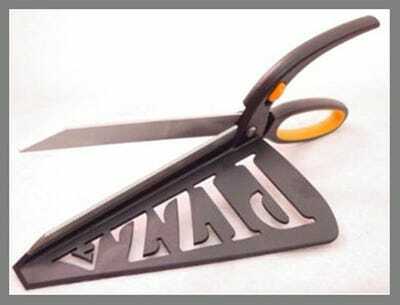 Slice and serve pizza in one fell swoop. Now that's human ingenuity. 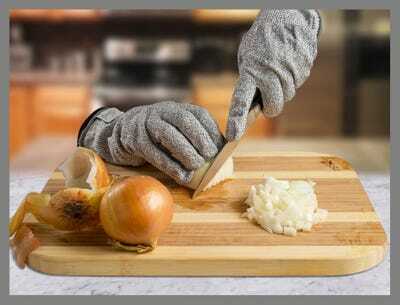 Perfect your Top Chef-like chopping skills without the risk of cutting off your fingers thanks to these cut resistant gloves. Even better, your hands won't smell like garlic or onions. 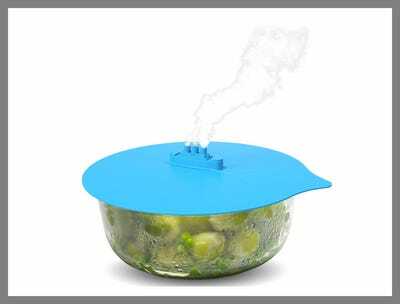 This whimsical silicone steam lid is microwave safe, and lets out just enough steam to prevent your dishes from boiling over. This cart is a dream for anyone who has ever had to schlep groceries or cleaning supplies upstairs. 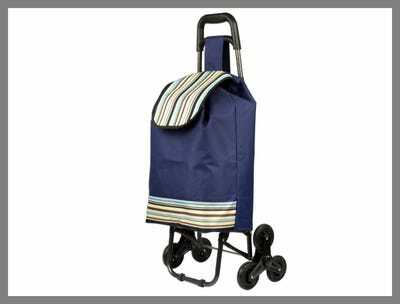 The wheels are designed to handle stairs and curbs, and the bag is water-repellent. See how it works here! 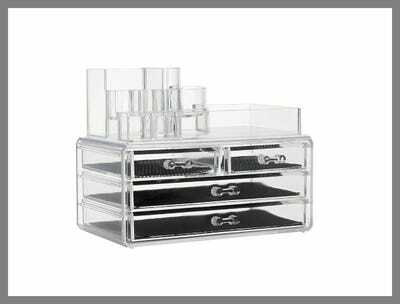 Keep all your accessories in one place with this see-through makeup and jewellery organiser. The top has compartments for lipstick, makeup brushes, and mascara, and the drawers are removable for easy access to your favourite necklaces and earrings. 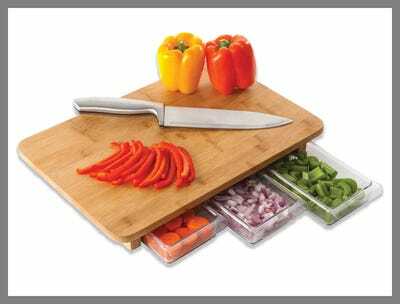 Cut the mess in your kitchen in half with this chopping board, which comes with three storage drawers built right in. Just chop ingredients on the bamboo surface and then slide them into its drawers for storage. 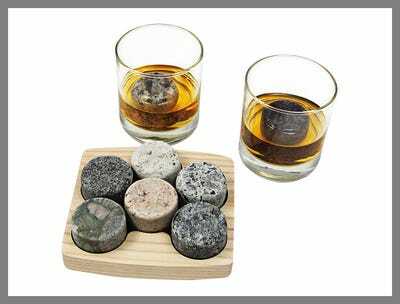 Any bartender worth their salt will tell you that proper glassware is as important as the drink inside. 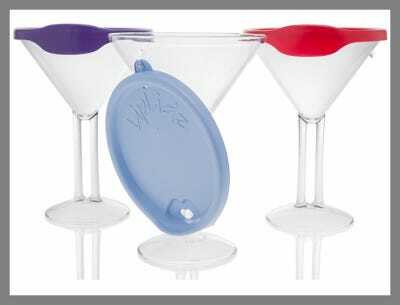 So forget Solo cups by the pool, with these lidded plastic martini glasses you don't need to sacrifice style. A bookshelf should be a centrepiece that reflects your style -- and everything on it should too. 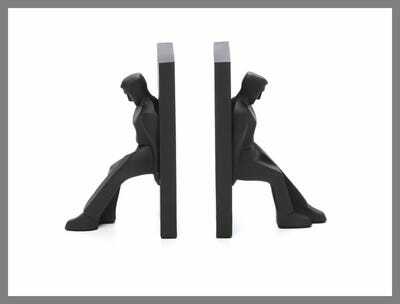 Statuesque bookends will help keep your books standing upright while still maintaining your personal style. 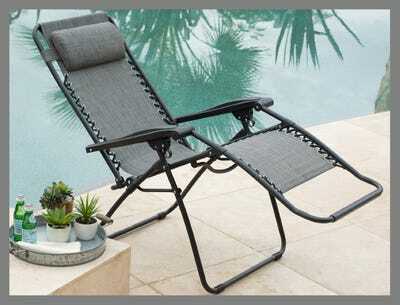 With an array of reclined positions to choose from, this just might be world's most comfortable outdoor lounger. Besides being safe in temperatures of up to 600°F, it's also super easy to store thanks to an embedded magnet. This allows you to attach the mit to any metal surface. Rather than douse yourself in smelly chemicals to keep mosquitoes at bay, this lantern is a chemical-free alternative that doubles as a glowing lantern. 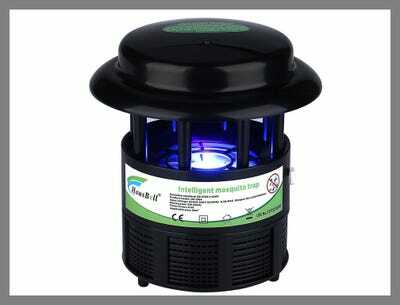 Plus, it keeps an area of around area up to 15 ft x 15 ft free of insects. There's nothing worse than having to crawl around looking for a dropped piece of jewellery under your bed or dresser. 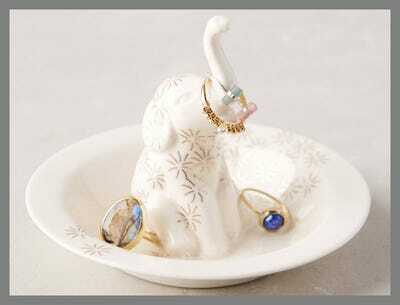 Keep rings and other small items safe with this elephant ring and trinket dish. 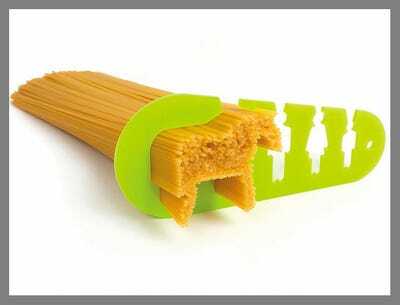 This quirky pasta measuring device lets you choose whether you want to make enough spaghetti to feed a small child or a small horse. Many great ideas have hatched under the drizzle of a hot shower. 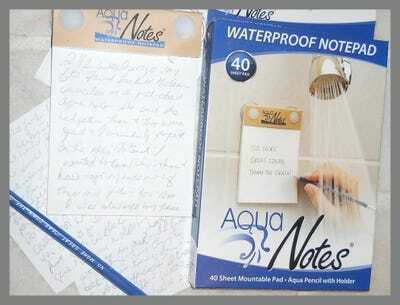 Thanks to this waterproof notepad, you'll never forget another great invention... or errand. There's nothing like tricking your body into eating veggies when it thinks it's eating pasta. 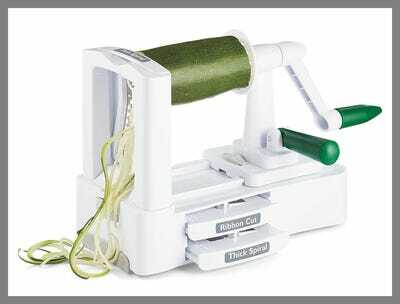 This handy spiralizer makes cutting veggies into spaghetti-like spirals easy and convenient, and comes with three blades: thick, thin and ribbon. Ever lost half your pasta to the sink when trying to strain it? 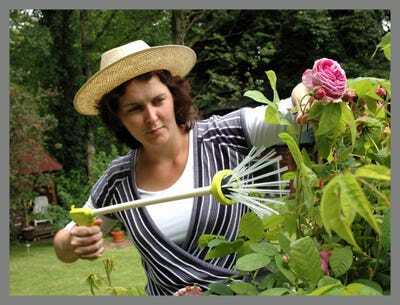 Lose no more with this clip-on pouring spout. 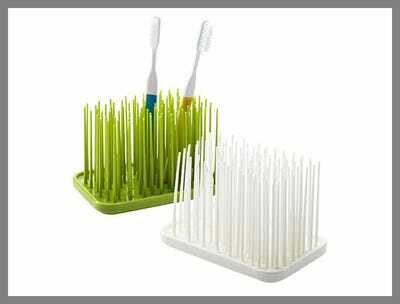 Spruce up your bathroom counter with a toothbrush holder that looks like a patch of grass. It also makes a great bedside stand for glasses and pens. Comes in green and white. Is there anything worse than limp lettuce? 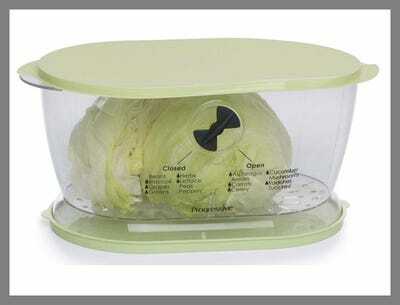 Luckily, this lettuce keeper will keep your salad fresh and crisp for longer. 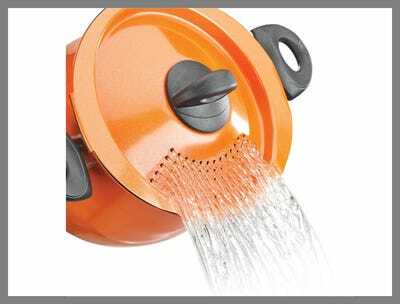 Plus, it doubles as a colander and features 16 different moisture settings for various vegetables. 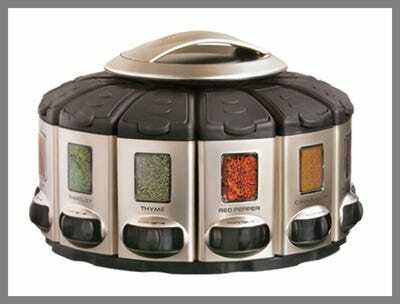 Forget the measuring spoons: this spice rack has 12 removable spice compartments that each have a measuring dial, which dispenses the exact amount of spice needed. 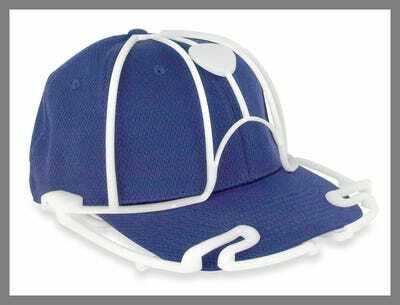 Keep that sweaty baseball from getting crushed in the laundry with the Cap Washer. Also useful for keeping hats in shape while travelling. 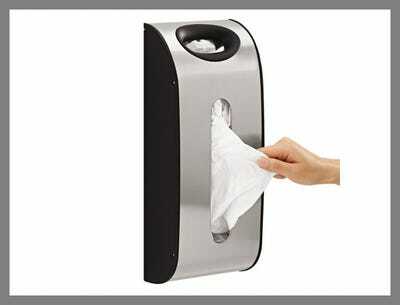 Keep your bathroom sink area clear with this sensor-activated hand soap dispenser. It's battery-operated, and easy to refill. 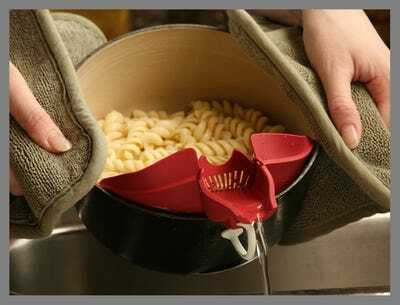 Instead of pouring your pasta into a strainer and dirtying yet another item in your kitchen, this pasta pot has a strainer built right in. 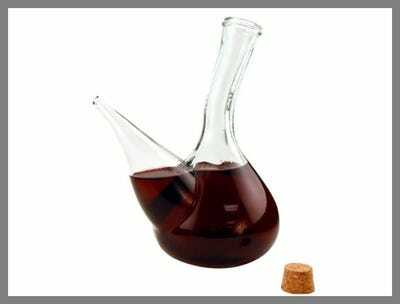 A porron is a pitcher that's used to drink wine in Catalonia. There, friends pour wine directly into each other's mouths at parties. It's the classiest way to shotgun wine. Find your way with the motion-activated IllumiBowl, a night light that turns your toilet into a disco. 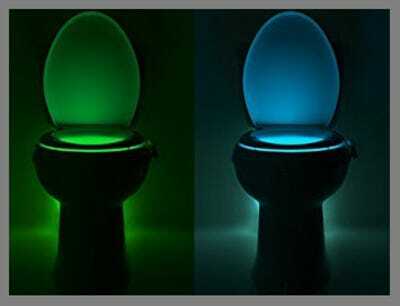 The light hooks onto the side of the toilet and rotates through eight colour options. 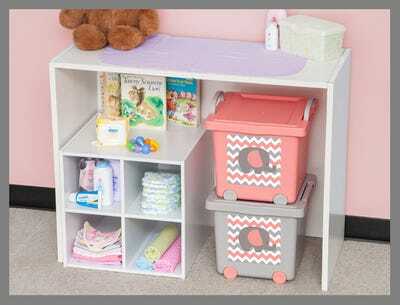 Keep the kids' room organised with stylish, stack-able toy baskets. 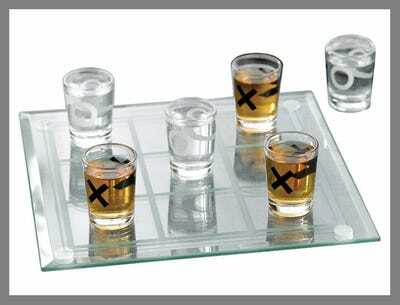 Make drinking more fun with a game of tic-tac-toe. Take a shot when you lose or when you win. Either way, you'll have fun. Eliminate bathtime tears and keep shampoo out of your little one's eyes with this shower cap. It adjusts to fit snugly around your baby's head so that you can easily wash the shampoo out of your baby's hair. Instead of stuffing old plastic bags into a drawer (or into other old plastic bags), keep the clutter to a minimum with a wall-mounted grocery bag dispenser. The vessel stores up to 30 bags for easy reuse. 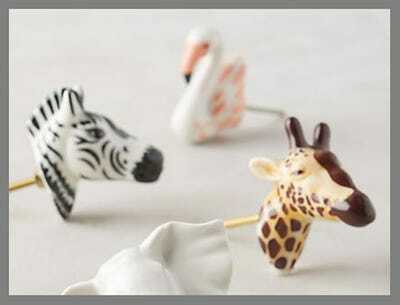 Transform any boring dresser into an adorable animal safari with these animal head knobs. Choose from a giraffe, flamingo, elephant, or zebra. 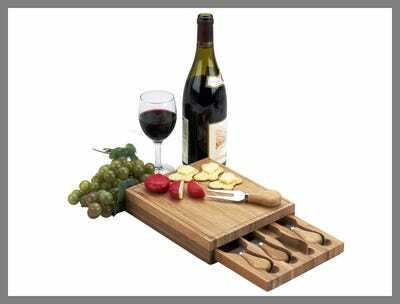 This bamboo cheese tray has a hidden drawer that's filled with stainless steel utensils to help you eat cheese. Keep all your dish and sink-cleaning tools in one place. 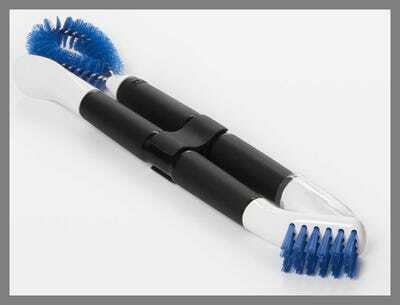 OXO's 4-in-1 appliance cleaning set comes with a loop brush, angled brush, chisel scraper, and flat scraper. 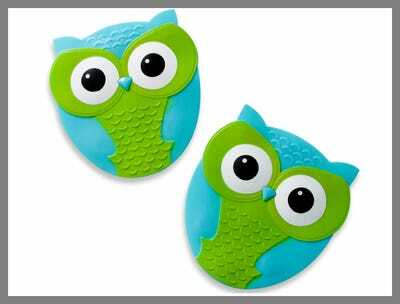 Make the bathtub less slippery with these adorable owl tub treads. They easily stick to the bottom of your tub. 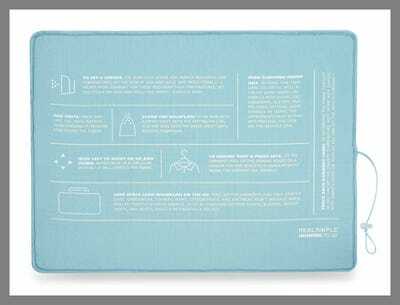 Instead of taking up valuable space with an ironing board, pick up a super-compact ironing pad. This one even has 'how to iron' instructions printed on the front. 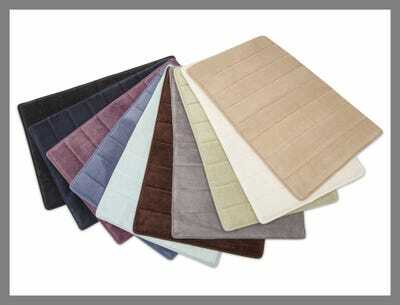 A memory foam bath mat is not only super soft and extra comfy to stand on, it also absorbs water twice as fast as other materials. 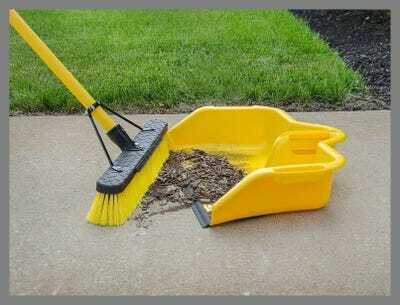 The dust pan for outdoor, outsize messes. This debris collector is big enough to work with a standard-sized broom, making it great for sweeping leaves or other debris outside the house. 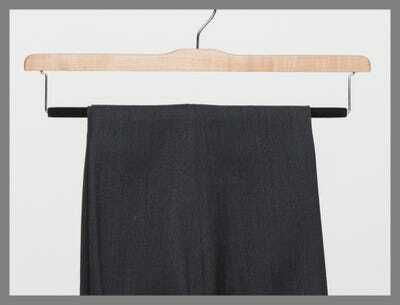 It has non-skid grips and a hanging mechanism for easy storage. 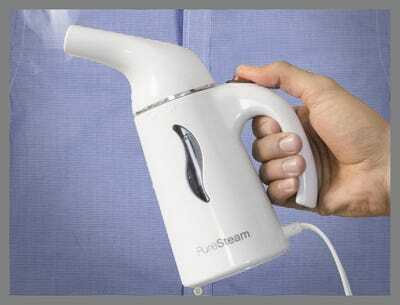 This handheld steamer is versatile enough to be used on fragile fabrics and fabric and drapes. It heats in just two minutes for speedy use. 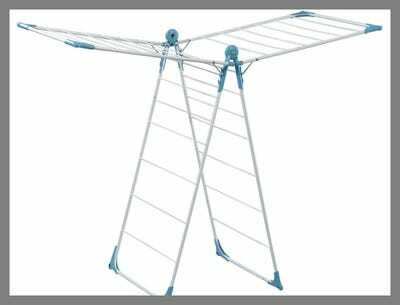 The Minky Homecare X-Wing Indoor Drying Rack has moving parts to accommodate for any wet laundry, from lingerie to a comforter. 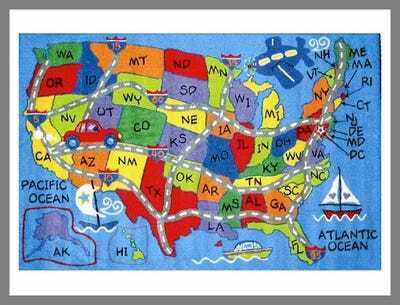 Make the rug in your kids' room do double duty and help the kids learn geography with a colourful map of the US. It's educational decor. 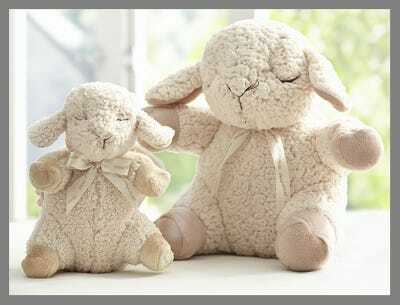 The Sleep Sheep is a noise machine your child can cuddle with. The stuffed animal has four soothing sounds: gentle stream, spring showers, ocean surf and whale songs. 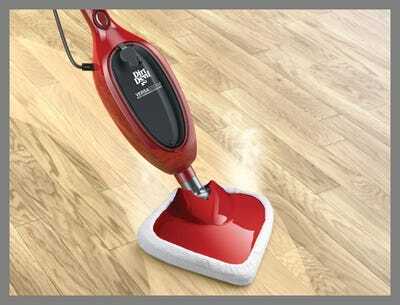 Get sparkling clean floors with this 2-in-one steam mop. 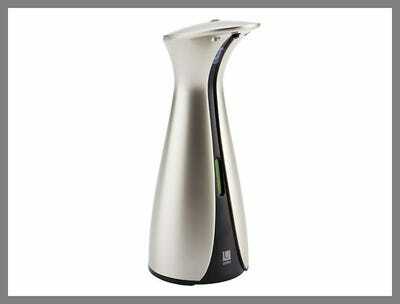 It detaches into a handheld steamer, and can swivel to get into hard-to-reach areas. 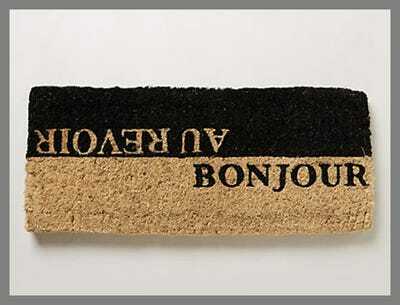 It's great on all kinds of floors, from wood to carpet.